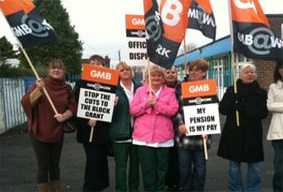 The GMB is an active campaigning union, working hard at local and national levels to improve conditions for our members and the wider community. From political campaigning to involvement with other organisations and charities members can become involved in a wide variety of campaigning activities . For more information on our current campaigning activities please click on the links below which will direct you to the relevant area.